TORONTO, ON – A new Toronto brewpub announced earlier this month that is promising to serve up “Morality On Tap” has revealed its opening date. 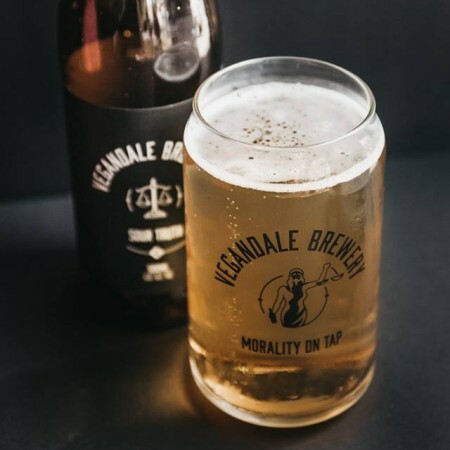 Vegandale Brewery – which shares the name that ownership group The 5700 is using to refer to several vegan businesses it operates in the city’s Parkdale neighbourhood – will be situated at 1346 Queen Street West, the address previously occupied by Duggan’s Brewery. Duggan’s remains as open a brewery and bar in the basement of the building, and brewmaster Michael Duggan will be producing beers including Morally Superior IPA, Principled Pilsner, See the Light Lager, and The Sour Truth for Vegandale. The venue will also feature food by vegan diner Doomie’s, which will be moving from its current location across the street, and vegan ice cream counter Not Your Mother. Vegandale Brewery will be opening on Thursday August 2nd at 5:00 PM. For more details, see the brewpub’s Facebook page.